If you have a mosquito complaint/concern, please call the Mosquito Hotline at Vector Disease Control at 303.428.5908. This page describes the integrated pest management approach to mosquito abatement provided to Broomfield by Vector Disease Control International (formerly Colorado Mosquito Control). The City and County of Broomfield contracts for mosquito control services with Vector Disease Control, Inc. (Vector). They provide three layers of protection to minimize mosquito annoyance problems and to help stop the spread of the mosquito-borne diseases such as West Nile Virus. Surveillance and monitoring of known mosquito-producing areas and treatment of these areas with larvicide are the primary means of control. It is much more efficient and effective to reduce the mosquito population when the mosquitoes are in the stationary larval stage before they become airborne. Mosquito spray doesn't affect bees and other pollinators because they are only active between 8 a.m. and 8 p.m. They are safely in their hives when the mosquito spraying is done. The other reason is the difference in body mass. Mosquitoes are very small with low body mass so it takes very little spray (sub-micron size droplets) to kill them. Bees have much larger body mass and can't be killed by the small dose in spray. Since larvicide is not 100% effective, the next layer of protection involves spraying of adulticide in areas where light trap surveillance documents adult flying mosquito populations greater than 100 adults per trap. There are several areas where mosquitoes are trapped on a weekly basis (view map). Aerial spraying is done when trap data indicates flying mosquito populations greater than 100 adults per night and/or in areas of concentrated mosquito nuisance complaints. Spraying may also occur in areas where there are confirmed cases of West Nile Virus. All adult mosquito spray applications are planned for the hours between dusk (~8:30 p.m.) and dawn (~6:00 a.m.), WEATHER PERMITTING. Applications may be canceled or postponed, all or in part, without notice. View information on pesticides used by Vector. If you would like to be added to Vector's Call Notification, please call their main office at 303-428-5908. The third layer of protection is public education to help residents understand that individuals need to take precautions to minimize mosquito annoyance and the spread of West Nile Virus. 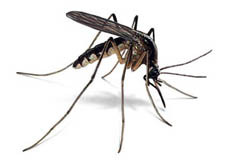 Residents need to apply mosquito repellant each time they go outside and minimize standing water in their yards! Use DEET or another approved insect repellent every time you are outside during high risk times (dusk and dawn). A product with 23.8% DEET provides 302 minutes of full protection. Products with 6.7% DEET provide 112 minutes of protection. Reapply as directed. DRAIN all standing water around your home where mosquitoes breed. Unclog roof drains, remove old tires or any unused containers that might hold water. Don't overwater lawns and gardens. Replace water in kiddie pools and bird feeders at least every five days. Limit your outside activity at DAWN and DUSK, when mosquitoes are most active. DRESS property in long-sleeved shirts and long pants while outdoors during high risk times or in mosquito-infested areas. Additional information about West Nile Virus and steps that residents can take to protect themselves is available on the state health department's Fight the Bite Campaign website. The Vector Disease Control website has detailed West Nile Virus fact sheets and more frequently asked questions/answers. Colorado Mosquito Control's website also has information regarding the chemical composition of the larvicide and adulticide products used in the mosquito control program. Both are specific to mosquitoes and very safe for humans, birds, pets, etc. If you have a mosquito complaint or would like additional information about the program's techniques for monitoring and treatment of larvae and adult mosquitoes, please call the MOSQUITO HOTLINE at 303.428.5908 or visit Vector Disease Control, Inc.. Sensitive residents who would like to be on the pre-notification and/or shut-off list should call Vector Disease Control at 303.428.5908 to make that request. WNV is transmitted to people and animals by infected mosquitoes, specifically Culex tarsalis, a medium-sized mosquito that feeds in the hours around dawn and dusk. They breed in almost any source of standing water, including irrigated fields. These viruses are maintained in a bird-mosquito-bird cycle when a mosquito feeds on an infected bird’s blood. Then, the newly infected mosquito transmits the virus to a human, another mammal, or a bird. These viruses are prevalent from June to September when mosquitoes are most abundant, but the greatest risk to humans occurs from August through early September. Most people (about 80%) who are infected with West Nile Virus do not become ill or have symptoms. The typical time from infection to the onset of signs and symptoms is 3 to 14 days. About 20% of people develop a mild infection known as West Nile Fever. Common signs and symptoms include fever, headache, body aches, and occasionally skin rash, swollen lymph glands, and eye pain. These symptoms of WNV usually resolve on their own. Less than 1% of people infected show more severe signs and symptoms, such as inflammation of the brain (encephalitis) or inflammation of the membranes surrounding the brain and spinal cord (meningitis). Signs and symptoms of these diseases include high fever, severe headache, stiff neck, disorientation or confusion, stupor or coma, tremors, convulsions, pain, and even partial paralysis. Seek medical attention right away if any of these conditions exist. Left untreated, permanent brain damage and death could result.